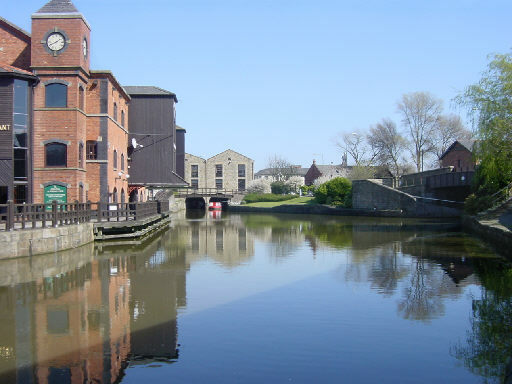 Wigan Pier is the name given today to the area around the canal at the bottom of the Wigan flight of locks on the Leeds and Liverpool Canal. 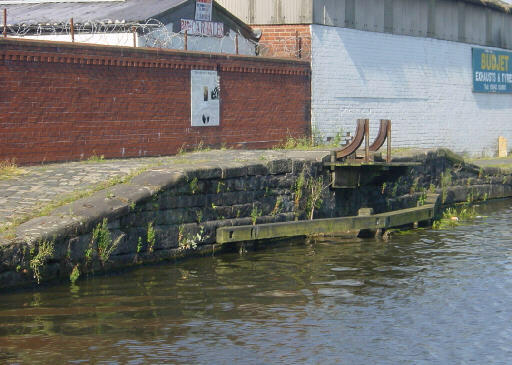 The original "pier" at Wigan was a coal loading staithe, probably a wooden jetty, where wagons from a nearby colliery were unloaded into barges. The name was brought to popular attention by George Formby Senior in the Music Halls of the early twentieth century. It was given more serous acclaim with the publication in 1937 of George Orwell's book "The Road to Wigan Pier". The original wooden pier is believed to have been demolished in 1929, with the iron from the tippler being sold as scrap. Because of the more recent pride in the area's heritage, a replica tippler has been erected at the original location (see below). 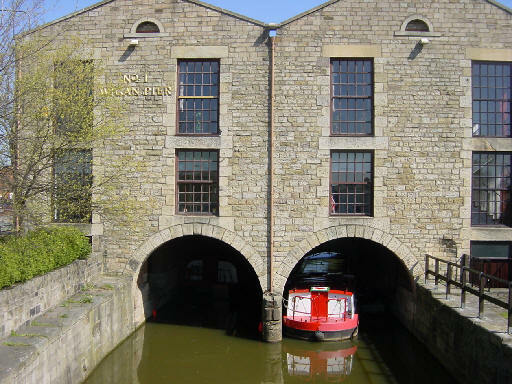 In the 1980s, the canal warehouses were restored and put into use as a museum, exhibition hall and pub. 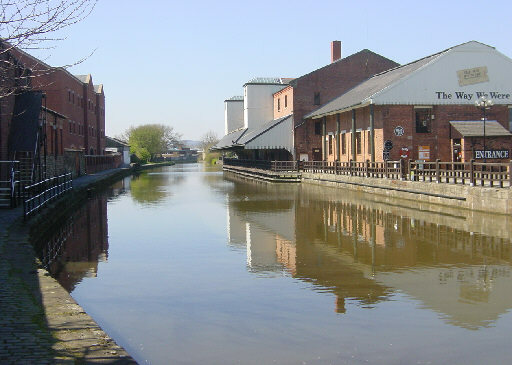 The nearby Trencherfield Mill was incorporated into the "Wigan Pier Experience", with a waterbus linking it to the main site. The area is set to undergo a further transformation with the development of a cultural "Wigan Pier Quarter" which will include a performance centre and retail outlets. 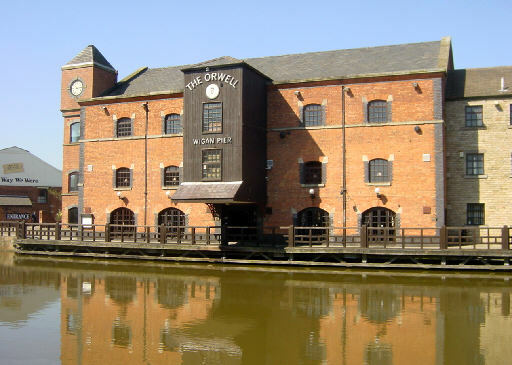 "The Orwell" at Wigan Pier, formerly Gibson's warehouse, originally built in 1777, re-built in 1984. 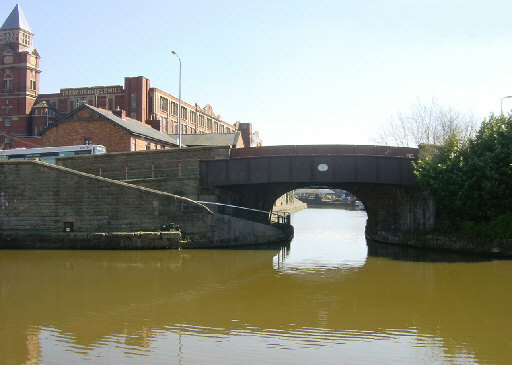 "The Orwell" on the left, the Terminal Warehouse ahead with the canal to Leeds and Manchester through Pottery Bridge on the right. Looking in the other direction from the Terminal Warehouse, with Pottery Bridge on the left and the canal to Liverpool straight ahead. The warehouse on the right previously housed the "Wigan Pier Experience", now closed. 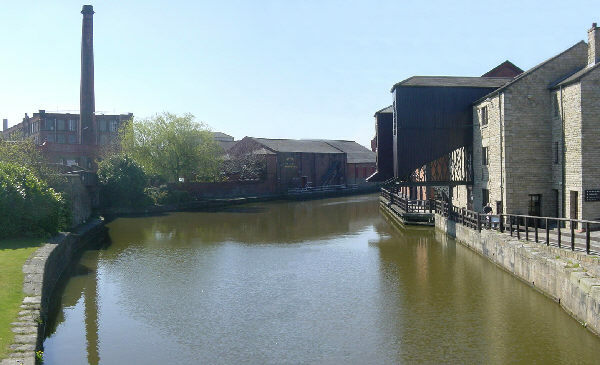 On the opposite side, just past the warehouse, can be seen the original "Wigan Pier". It was a coal tippler and consisted of two curved rails at the end of a tramway from a colliery. The waggons would be brought right to the edge of the canal to be tippled so that their contents went straight into waiting barges. A canal mile post can be seen to the right of the coal tippler. 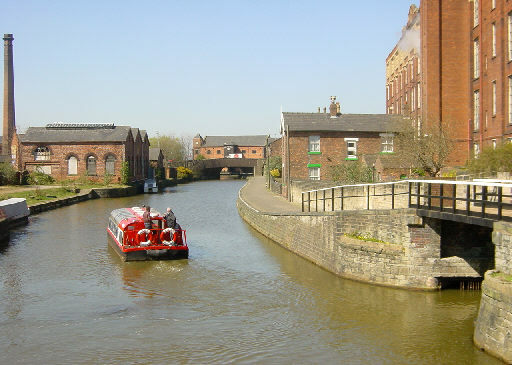 Wigan Pier became the subject of music hall jokes and later featured in the title of George Orwell's book "The Road to Wigan Pier". Opposite the Orwell, the canal turns right, under Pottery Bridge and past Trencherfield Mill towards Wigan Lock flight. Looking west towards Wigan Pier. A water bus leaves Trencherfield Mill heading for Pottery Bridge and Wigan Pier in the distance. Trencherfield Mill houses the world's largest original working steam engine. The former machinery floors are being developed into apartments. Number 1 Terminal Warehouse at Wigan Pier. This was built at the head of what was originally the Wigan branch of the canal. It has two bays for boats to enter for loading and unloading.